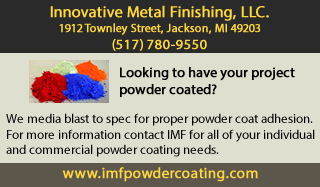 Abrasive Solutions LLC offers a variety of blasting and painting options for all your media blasting, surface preparation and coating needs. Serving Jackson County, Michigan and surrounding interstate areas. 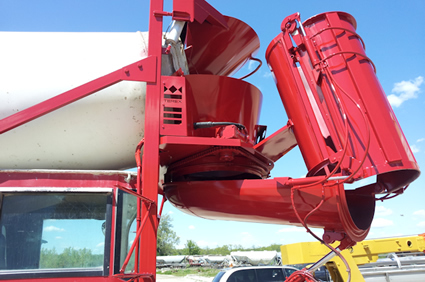 With over 30 years of experience, Abrasive Solutions is committed to providing exceptional media blasting, painting and restoration services. Our highly skilled staff delivers a premier level of service by ensuring a thorough understanding of your requirements and producing superior blasting and painting results. Our goal is to build a customer relationship of trust and respect by committing to honesty in all that we do. Our newly constructed 60' x 32' blasting enclosure accommodates large equipment and vehicles. We have 7 ton lift capacity, state of the art blasting equipment to handle the various sized jobs. No job is too small and few jobs are too big. We provide various levels of application to suit your needs, from Epoxy Mastic to premier finishing, including specific viscosity measurements for industrial applications. Our custom 60'x20' paint booth with 14ft overhead door will accommodate the largest of projects. Including patio furniture, steel doors, rims, metal gates and railings. For more information, contact us by email, our office at (517) 592-2668 or our direct line at (517) 240-9202.